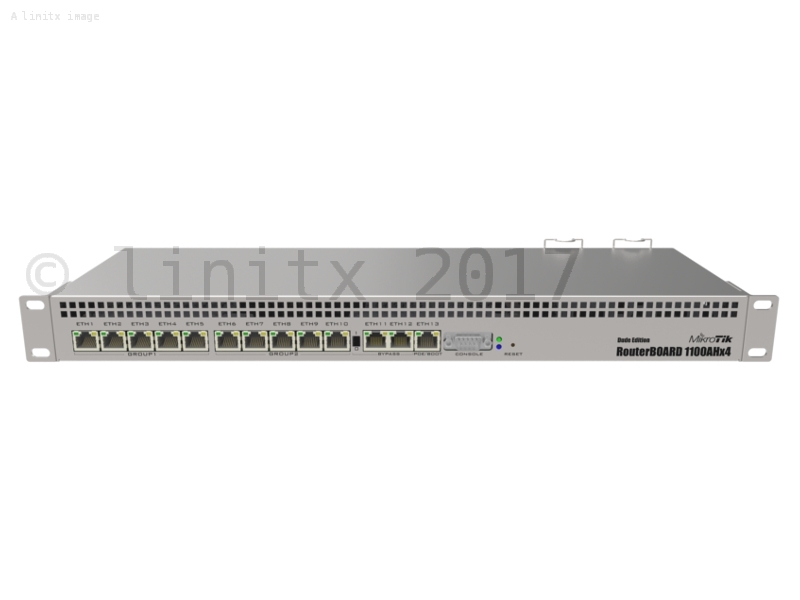 The new MikroTik RB1100AHx4 Dude Edition features an Annapurna Alpine AL21400 CPU with four Cortex A15 cores clocked at 1.4GHz each, for a maximum throughput of up to 7.5Gbps. 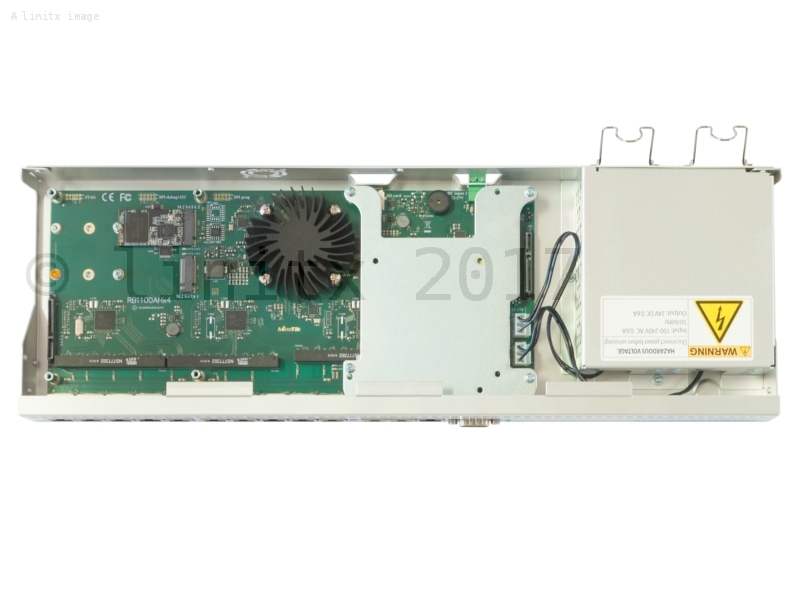 The RB1100AHx4 supports IPsec hardware acceleration and outperforms any previous MikroTik RouterBOARD with up to 2.2Gbps throughput with AES128. The RB1100AHx4 Dude Edition comes in a 1U rackmount form factor with 13x Gigabit Ethernet ports, an RS232 serial port and dual redundant power supplies (with -48v DC telecom power and 802.3at/af support). 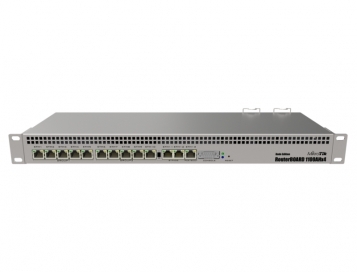 The RB1100AHx4 includes several high speed storage connectors, two SATA and two M.2 for use as a Dude database, proxy cache or any other storage intensive feature. It comes with a 60GB M.2 drive already installed.